After being bundled out for 219, Indian bowlers held their nerves to overcome SL’s late-order flourish, to bowl them out for 212. India, thus, claimed the series 2-0 with one more match to go. Mithali Raj and Tanya Bhatia got together for a stand of 76 runs for the fifth wicket before Raj was scalped by Shashikala Siriwardene for 52. India women beat Sri Lanka women by seven runs in the second ODI of the three-match series in the ICC Women’s Championship match at Galle on Thursday. 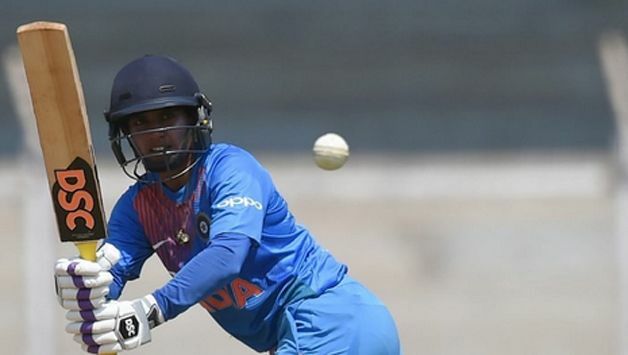 Opting to bat first India lost opener Punam Raut for three to Sripali Weerakkody and with the dismissal of Smriti Mandhana, who had made an unbeaten 73* in SL’s rout in the first ODI, for 14, India were tottering at 18 for two. Experienced hand and skipper Mithali Raj then tried to rebuild the innings, but India lost two more quick wickets in the form of Harmanpreet Kaur (7) and Deepti Sharma (12) before wicketkeeper-batswoman Taniya Bhatia gave her skipper company. 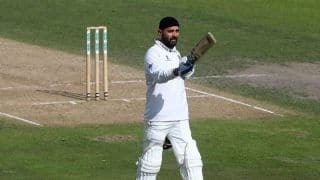 Raj and Bhatia got together for a stand of 76 runs for the fifth wicket before Raj was scalped by Shashikala Siriwardene for 52. Bhatia, however, continued on and in company of Dayalan Hemalatha (35) added another 35 runs to the total. The 23-year-old departed for 68, her maiden ODI fifty in only her second match. Shikha Pandey’s 14-ball 15 ensured India finished on 219. For SL medium pacer Chamari Atapattu claimed three for 42 in her eight overs while Weerakkody and Udeshika Prabodhani returned two wickets apiece. In reply, SL too found themselves in a spot of bother at 40 for three with pacer Mansi Joshi removing opener Prasadani Weerakkody (3) and Rajeshwari Gayakwad getting rid of Dilani Manodara (3). Gayakwad effected a run out to send back Nipuni Hansika for 0. Skipper Atapattu and Siriwardene then got together for a stand of 89 runs for the fourth wicket before Siriwardene departed for 49 via a run-out by Shikha Pandey. Atapattu’s departure for 57 in the next over dented SL. However, the lower-order kept SL in the hunt with handy contributions from Anushka Sanjeewani (17), Weerakkody (17) and Nilakshi de Silva (31). de Silva was taken by Mansi Joshi as SL’s ninth wicket fell for 2017. Five runs later, Deepti Sharma wrapped up the match with the wicket of Inoka Ranaweera, stumped by Bhatia to hand India the match and the series.